Businesses have seen a rapid boom over the years. All thanks to technology and globalization. Online marketing has come as a hope for many businesses. A large percentage of world population is using the internet. This is the reason why most of the businesses are going online these days. Email marketing has become a popular activity over the internet. Businesses are using email marketing tools to expand their reach to larger audience around the globe. 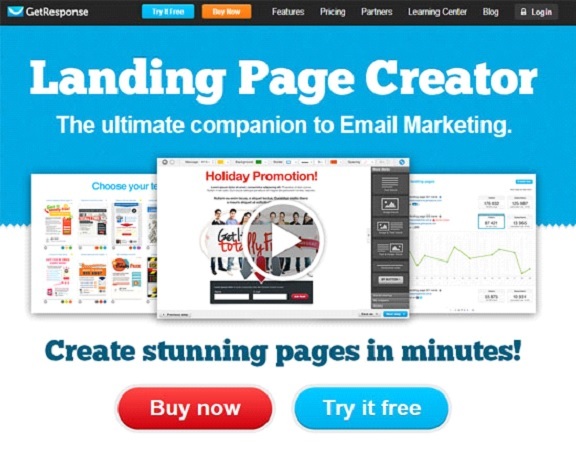 Not only email marketing tools, but several landing page creators available online has also helped the businesses to attract more clients. GetResponse is the Email marketing/ Landing Page Creator software which has been involved in branding activities of most of the businesses. A lot of exaggerating features are offered by GetResponse to its clients. The appealing templates added with the responsiveness and drag & drop functionality makes it really simple for the users to edit templates and create email newsletters. The tool is efficient enough to carry productive email marketing for your business. Let us study about some of the features of GetResponse. Some of the most powerful features of GetResponse email marketing tool have been discussed here. Go through some of its best features and decide whether to go for it or not. A variety of template designs can be accessed to create eye pleasing email newsletters that can be sent to your subscribers. The templates are designed awesomely by the creators and will definitely grab the viewer’s attention. The content can be well organized with images, videos or text and links. GetResponse has a collection of nearly 600 templates that can be edited as per user needs. The WYSIWYG editor makes it really easy for the users to edit the template by using drag & drop feature. A user without any technical knowledge can create an amazing newsletter. You need not to write HTML codes for creating or editing these templates. The Inbox Preview tool of GetResponse lets the users to check out the exact view of the email newsletter they have created. This view is very similar to the view which appears on popular email services like Gmail or Outlook. With the help of these tools one can easily check smallest flaws in the newsletters that can be rectified before sending it to the subscribers. The makers of GetResponse don’t charge any extra amount to provide this service. Easy Import tool of GetResponse lets the users to import email contacts at ripening fast speed. 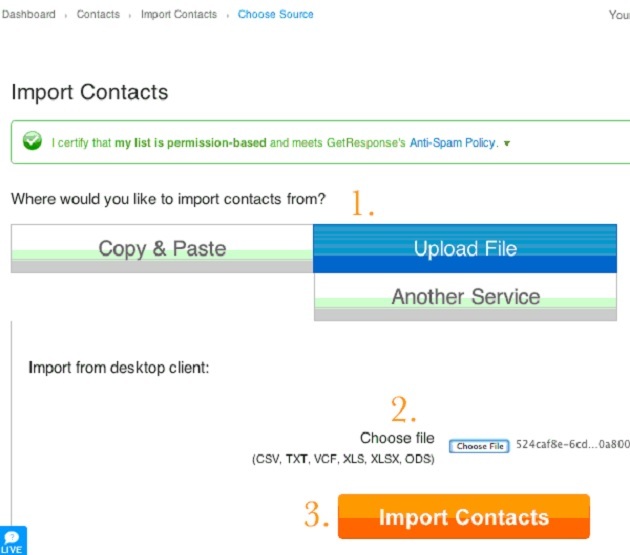 The contacts can be downloaded as excel spreadsheets and the unsubscribed emails are removed automatically. You can even upload the new contacts directly to GetResponse interface if you have them as spreadsheets. GetResponse picks the contacts from different sources and arrange them in a precise manner. The learning center of GetResponse offers advance learning material to all the users. 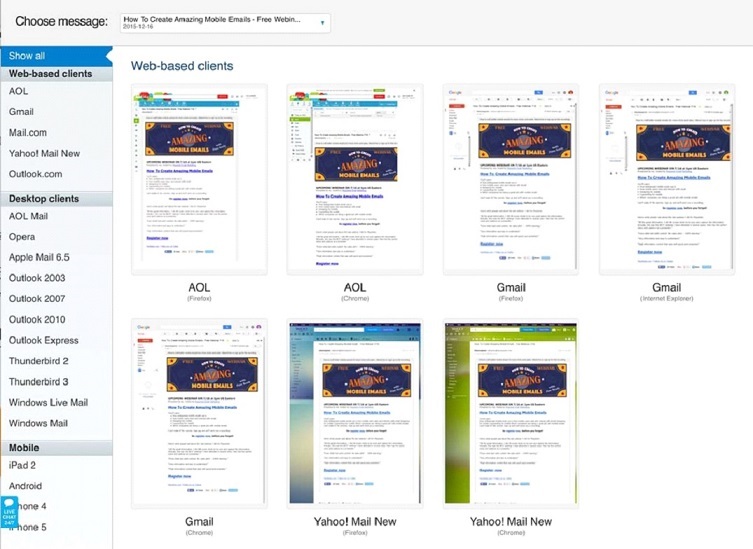 You can learn more about GetResponse email marketing and landing page tool. The video tutorials can be accessed you can help yourself in understanding the tool in a better way. GetResponse is a user friendly and user engaging software. 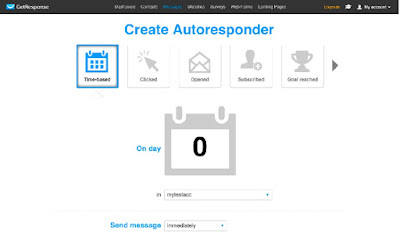 Once a user joins your subscriber list, he/she will be welcomed with an auto generated message through GetResponse’s Auto-Responder System 2.0. The welcome text can be edited and modified easily. GetResponse offers responsive templates that are compatible with all the mobile devices and web browsers. The landing page templates can also be adjusted automatically on any devices. Let it be desktop or mobile, the templates with adapting the screen size easily. Not only email newsletters, users can also create fabulous landing pages through GetResponse landing page creator. 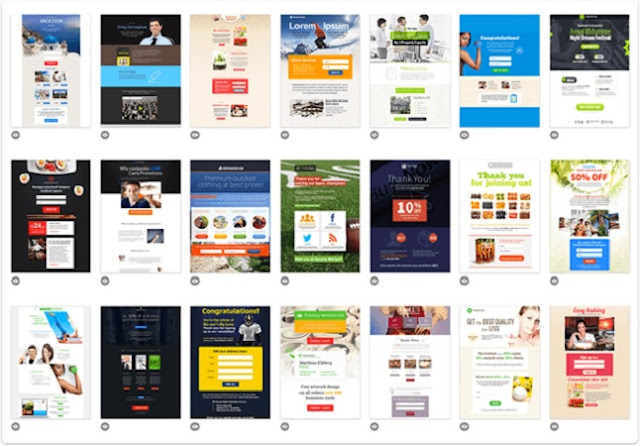 It provides 100+ templates for the users to create awesome landing pages. You can easily choose from template designs representing different types of industries. GetResponse is an efficient tool having a unique integration feature. The newsletters and landing pages can be connected to users’ social media profiles including Facebook, Twitter and other major social media platforms. You can even integrate the landing page or email newsletter with Google Analytics so that more accurate data can be collected and used for better results. Unlike many other email marketing tools, GetResponse has its own spam protection tool named as ‘SpamCop’. This tool checks the spammy words in your email newsletters and hints the changes to be made so that the spam filters of subscriber’s emails do not put your newsletter in the spam box. The user friendly interface of GetResponse allows you to navigate through the different options at ease. You will find all the options available at the home screen and these options can be accessed directly. You get complete data about the performance of your landing page as well as an email newsletter. The number of bounces, unsubscribes, top performing links, clicks, and other details can be tracked about the newsletters. Also, you can get the complete report in the form of table and graphs that can be downloaded for future references. Split Testing allows you to check the viewer’s response on 5 different versions of same template simultaneously. The response can be recorded and you can find the best performing landing page to attract the readers. $15 for every month is the minimal amount that you need to pay to get started with GetResponse. 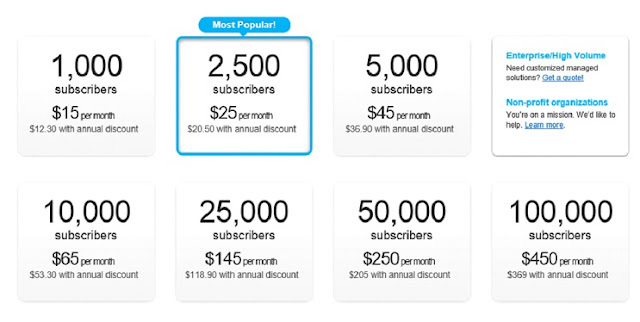 With this package you get access to all the above mentioned features and you can send email newsletters to 1000 subscribers each month. The maximum package at GetResponse costs $450 and newsletter mails can be sent to 100,000 contacts. The packages can be upgraded and downgraded as per your needs. For anything above 100000 subscribers, GetResponse will give you a quote in demand. You can even go for 30 days free trial offered by GetResponse and check the efficiency & the authenticity of its services. Above mentioned were the phenomenal features of GetResponse email marketing & the landing page builder tool that is helping the business to out rank their competitors in no time. GetResponse is the effective marketing & branding solution for businesses around the world with over 300 thousand customers worldwide. GetResponse provides a variety of email marketing as well as landing page templates to its users. Users or companies can utilize the phenomenal features of GetResponse and carry out effective marketing campaigns to bring more business. Its features are unmatched with most of the other tools available online. The webinar tool is an extra feature in GetResponse’s trunk that aids the user with conferencing functionality. Any company or individual looking for competitive branding or marketing must try GetResponse for once. Great post . GetResponse has now added a new feature that I think you missed to point out. 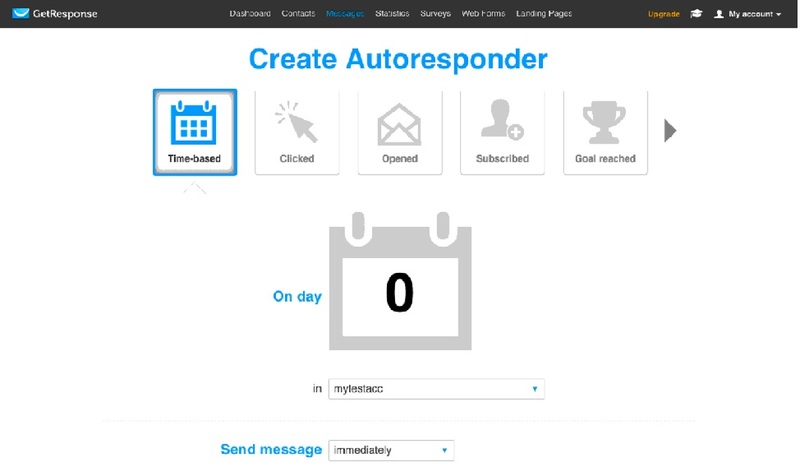 Its the Autoresponder 2.0 feature which allows you to schedule autoresponders in an all new manner. You have 100% control on how and when to send the emails.